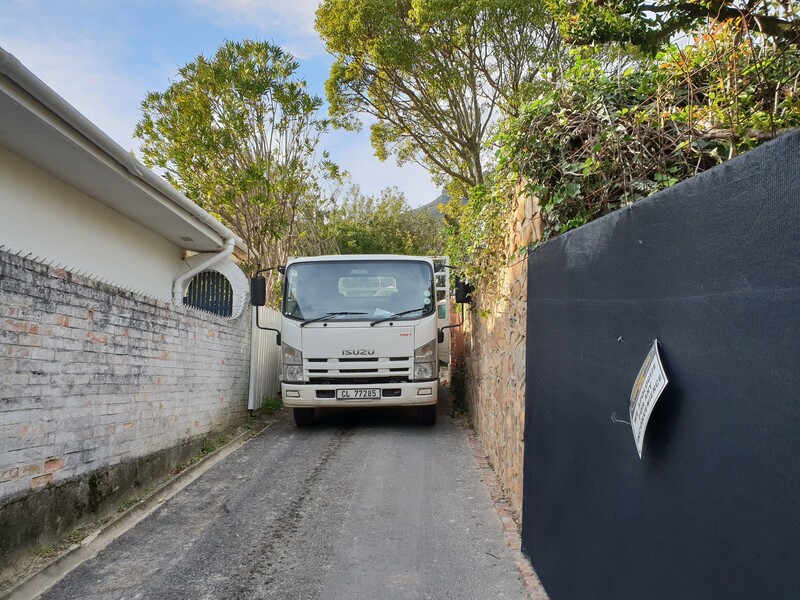 One of the most vibrant and popular suburbs in Cape Town, Camps Bay lies just beyond the four beaches of Clifton in an exceptionally beautiful setting amongst the Twelve Apostles and Lion’s Head, on the other side of Table Mountain. Homes up in the reaches of Lion’s Head offer fantastic views over the Atlantic and the bay is relatively calm during the summer months offering protection from the wind and pleasant swimming conditions. 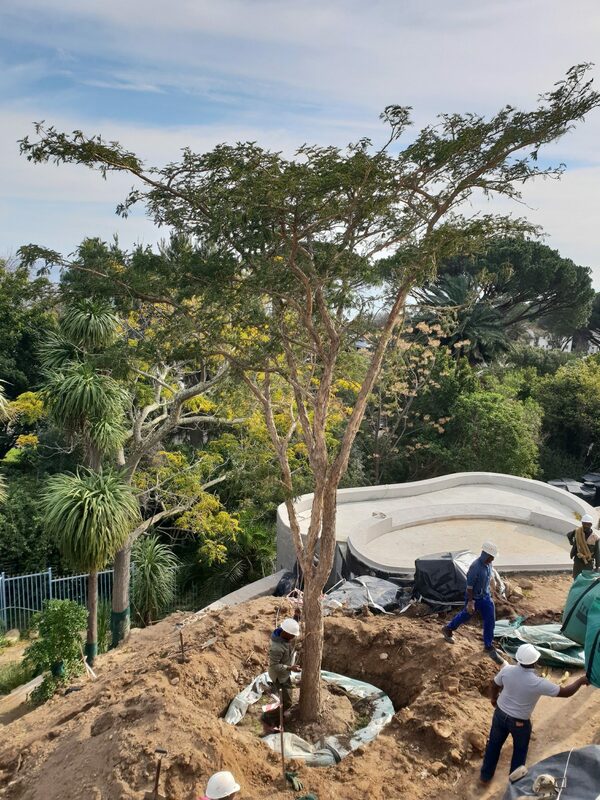 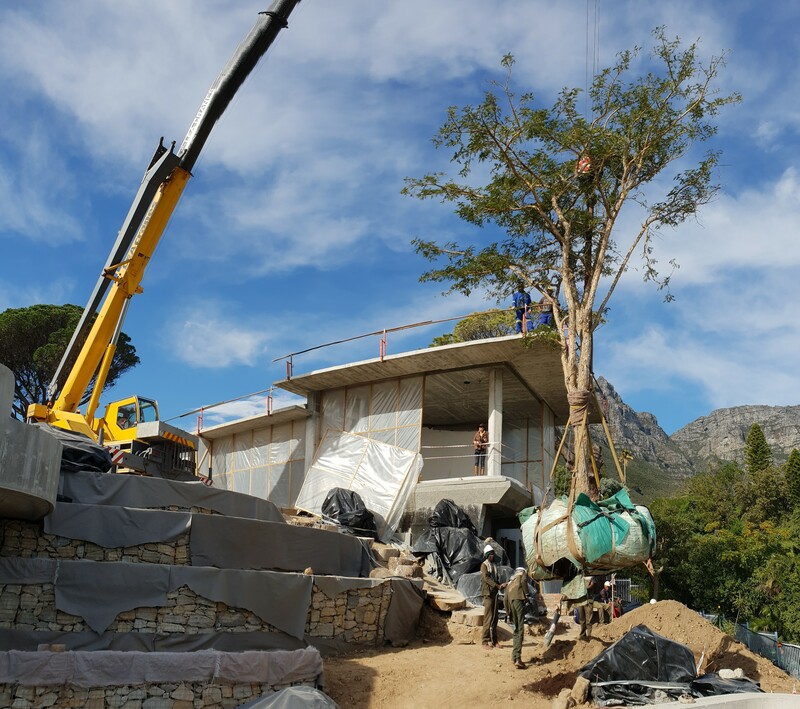 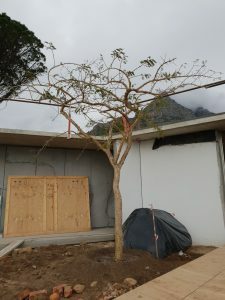 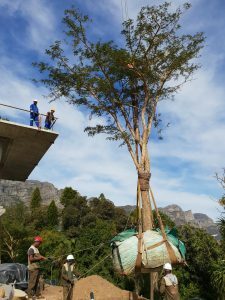 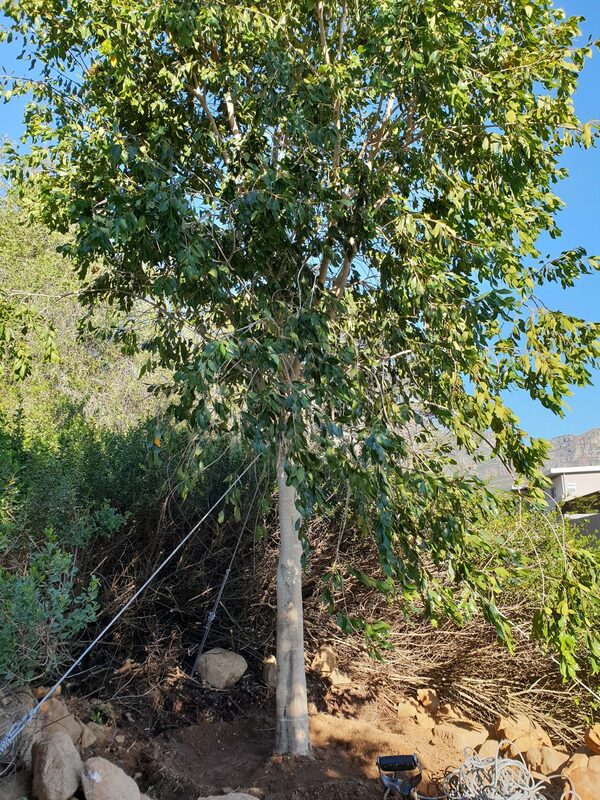 Our client managed to attain one of the many sought after properties in Camps Bay and approached us to round off the finishing touches on her dream home with some very large and stunning mature trees. 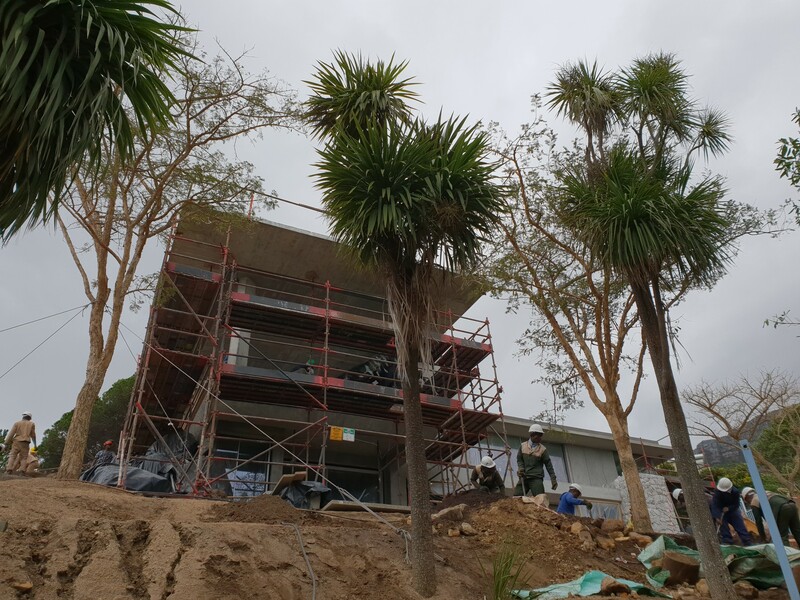 The main purpose of the trees was to compliment the architecture of the house. 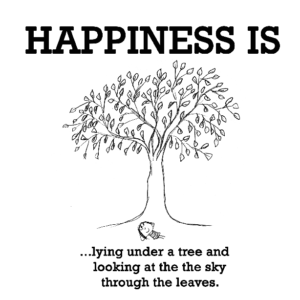 Being in Africa, the trees had to have an African feel and also be deciduous so that the winter light can come through to the home during the colder months of the year. 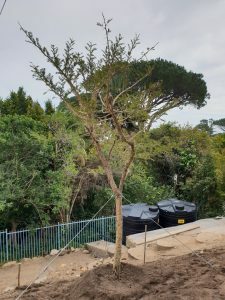 We advised her on the Paperbark thorn trees (Vachellia sieberiana) which matched all her requirements perfectly. 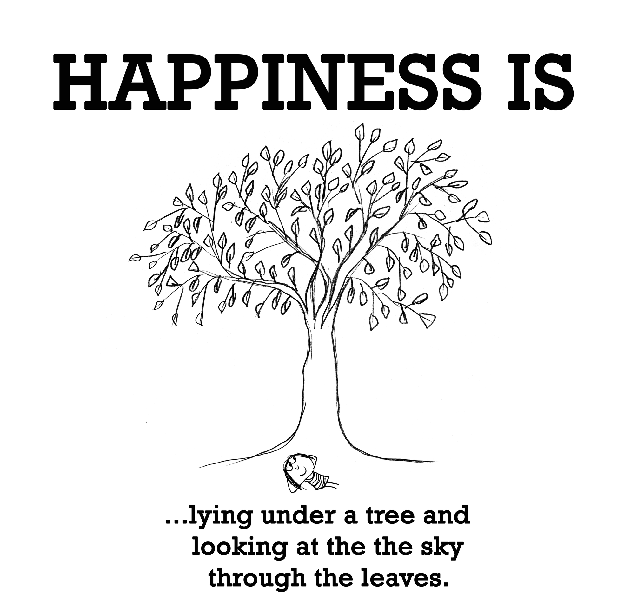 And lucky for her… we had beautiful large specimens in stock! The property borders a nature reserve that is run by the local community. 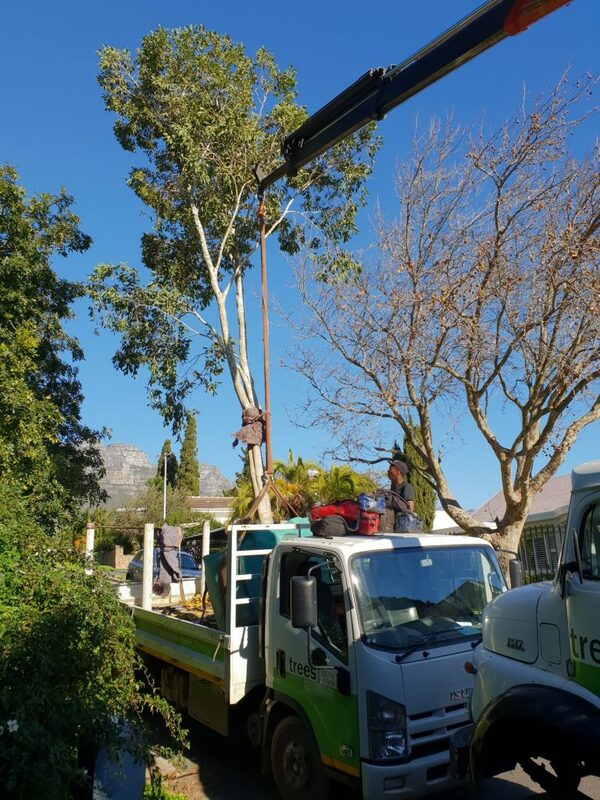 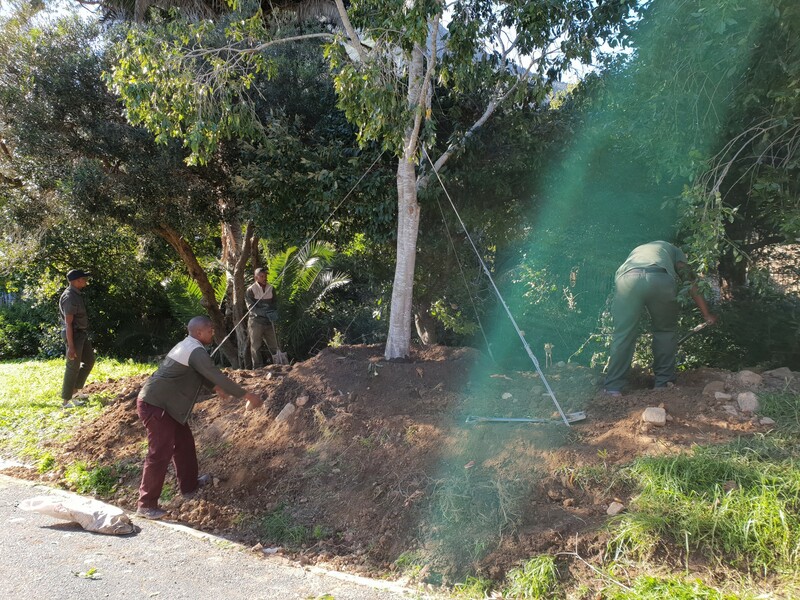 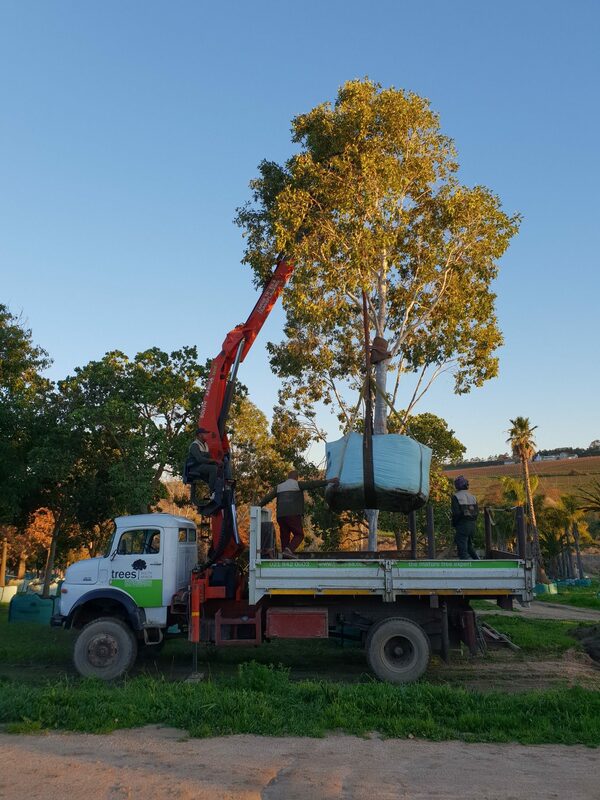 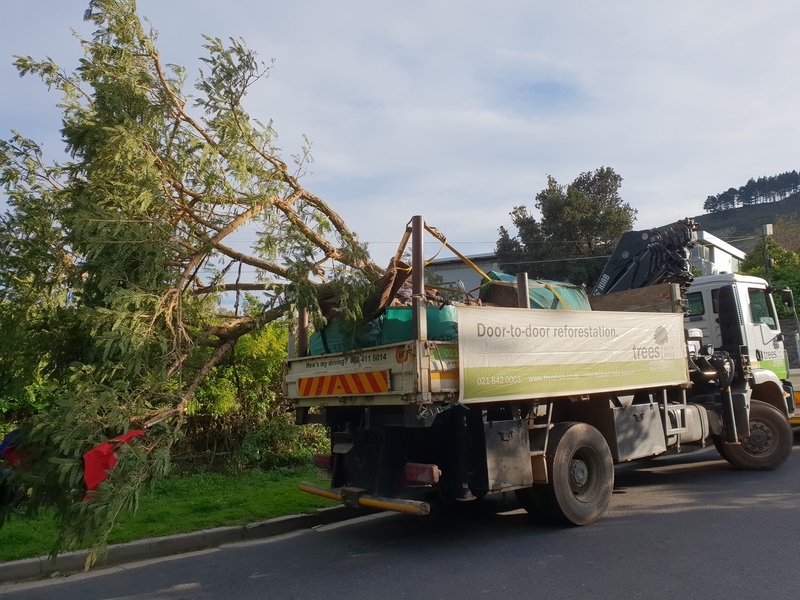 Our client wanted to move one of the larger trees on the nature reserve in order to provide better privacy and screening from neighbouring properties. 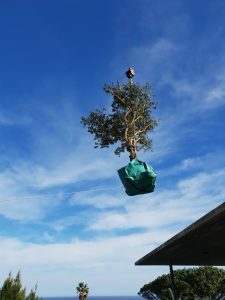 Permission had to be attained by the local community in order to relocate the tree. 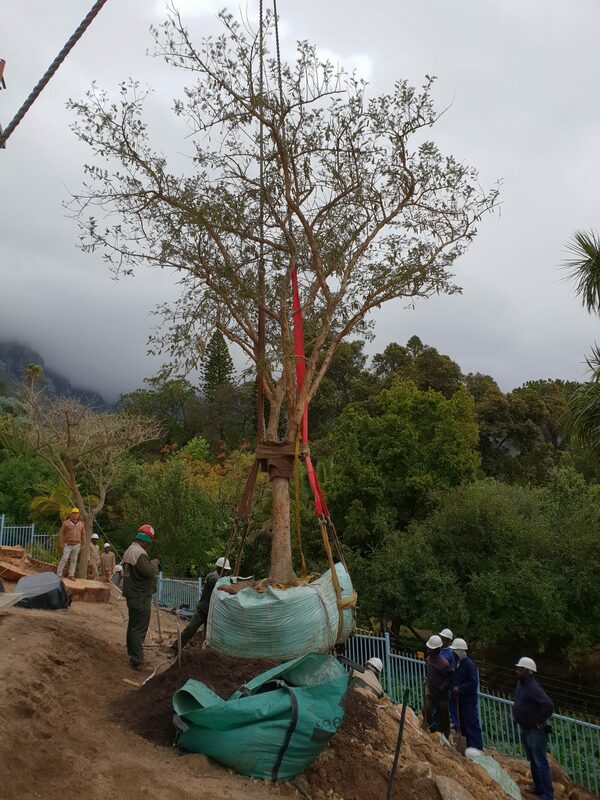 In addition to the relocation, the client also planted 2 additional trees on the nature reserve. 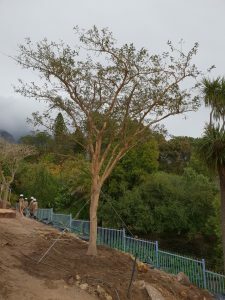 These trees had to match the existing species which were Waterpear trees (Syzygium guineense). 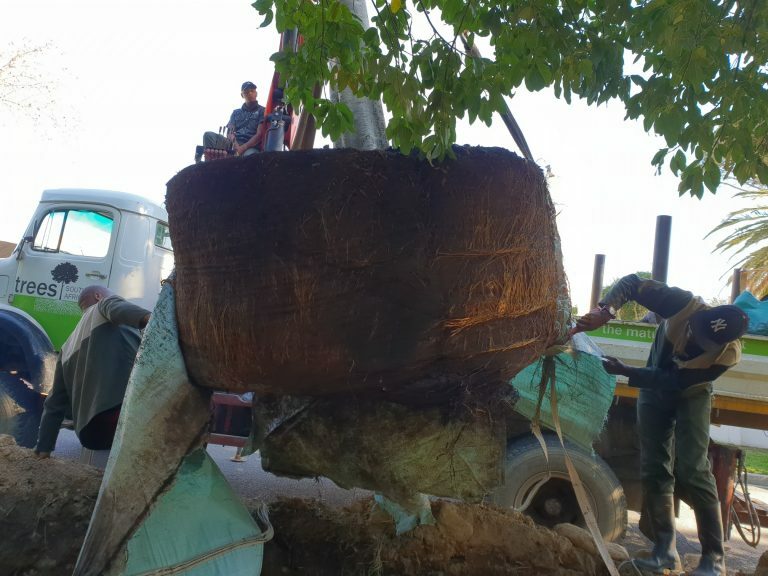 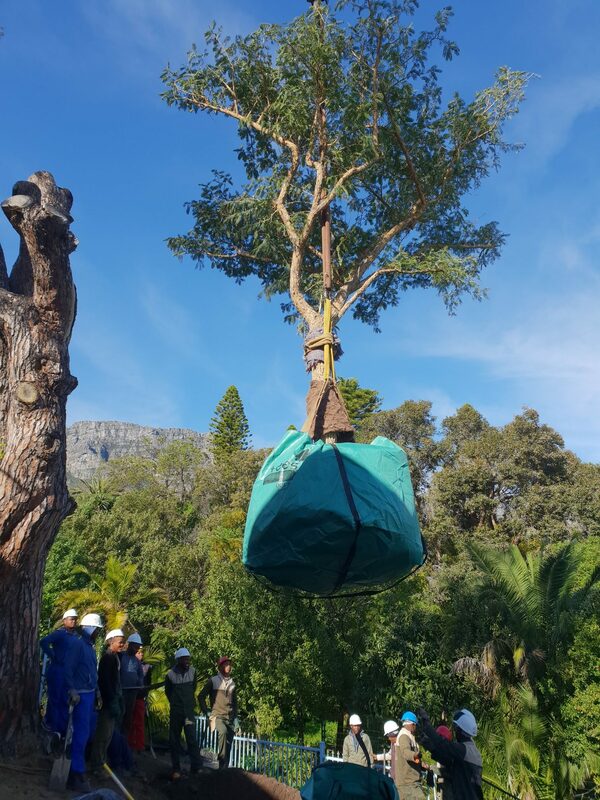 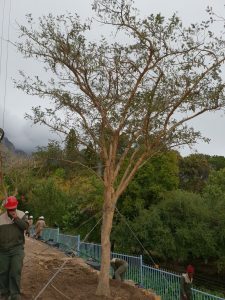 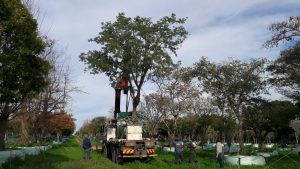 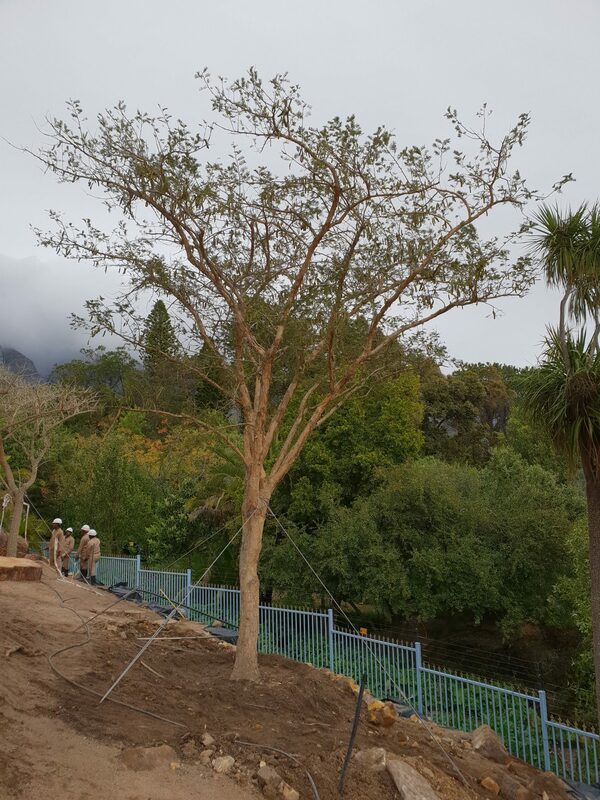 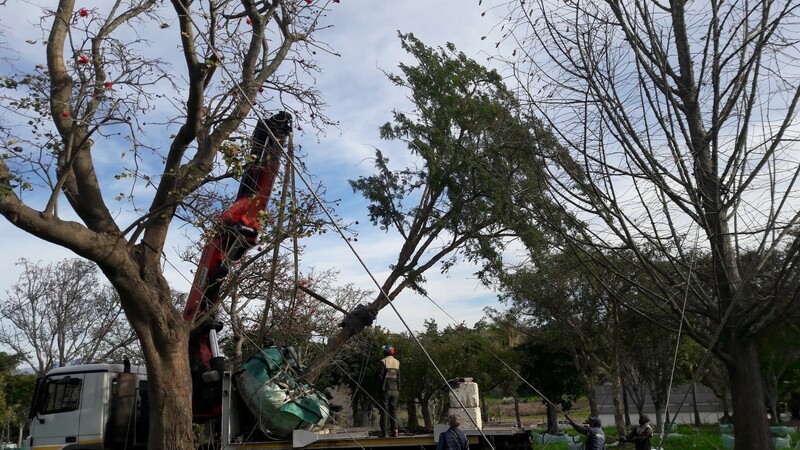 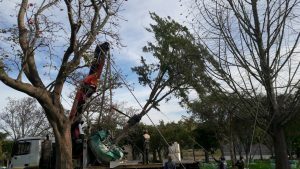 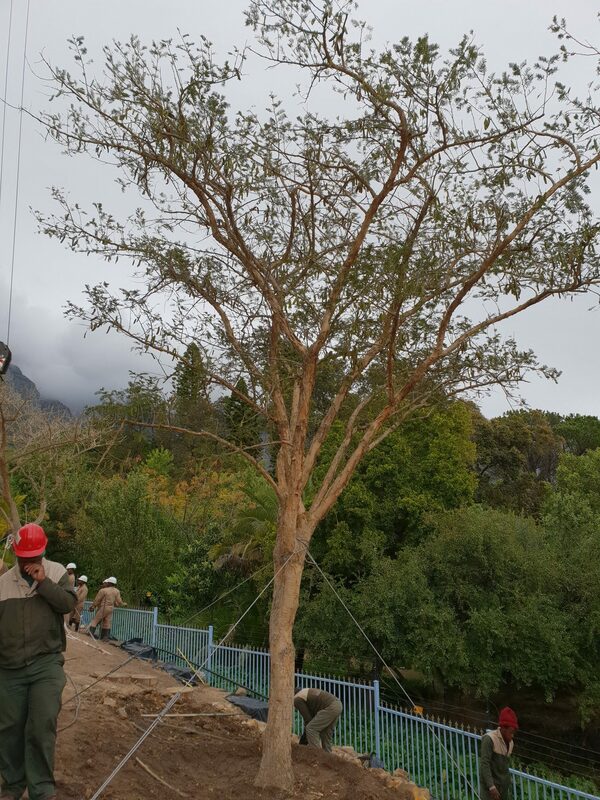 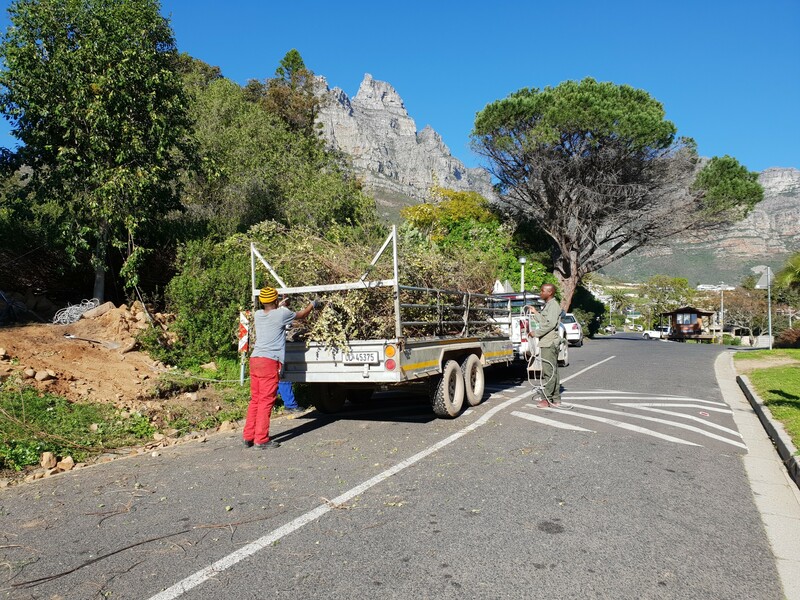 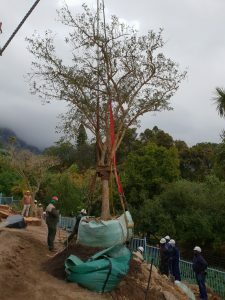 The relocated tree was considered an oversized 2000-litre tree and the additional 2 trees were 2000-litre and 3000-litre sizes. 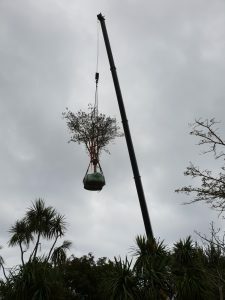 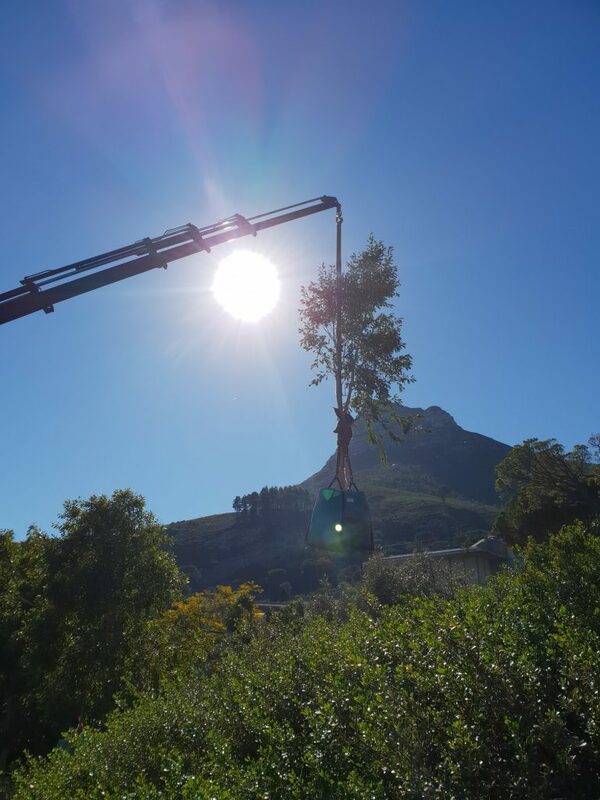 A mobile crane had to be used to install the trees. 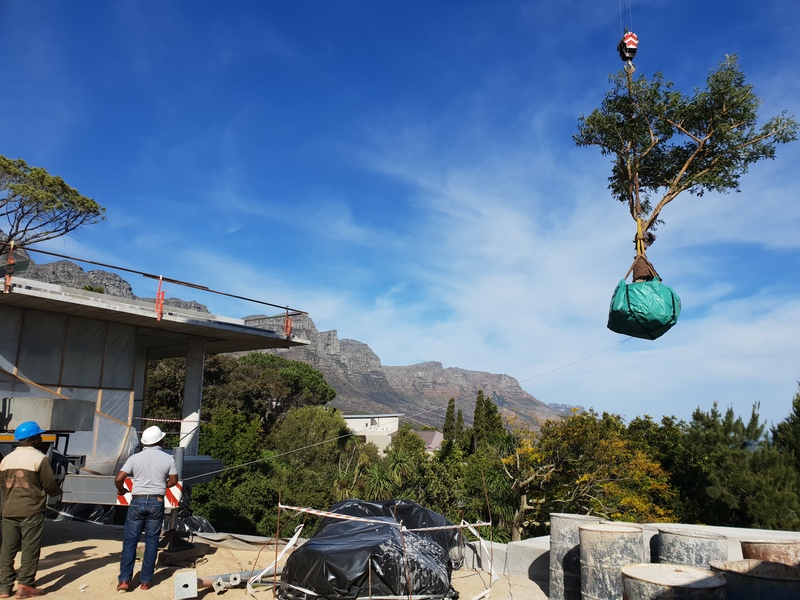 The challenging factor was that the crane had to fit through a 3m wide corridor of 70m long to get to the spot where it could set up. 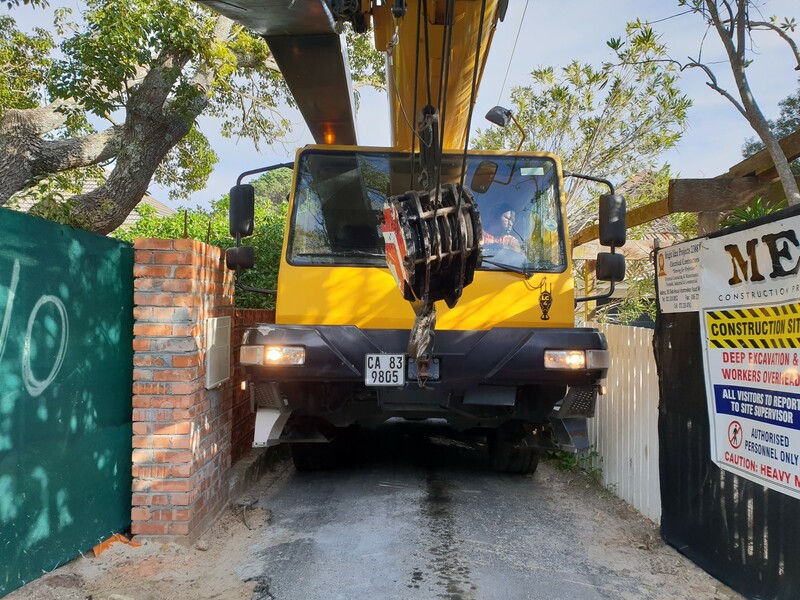 There was only 15cm space between the crane and the walls! 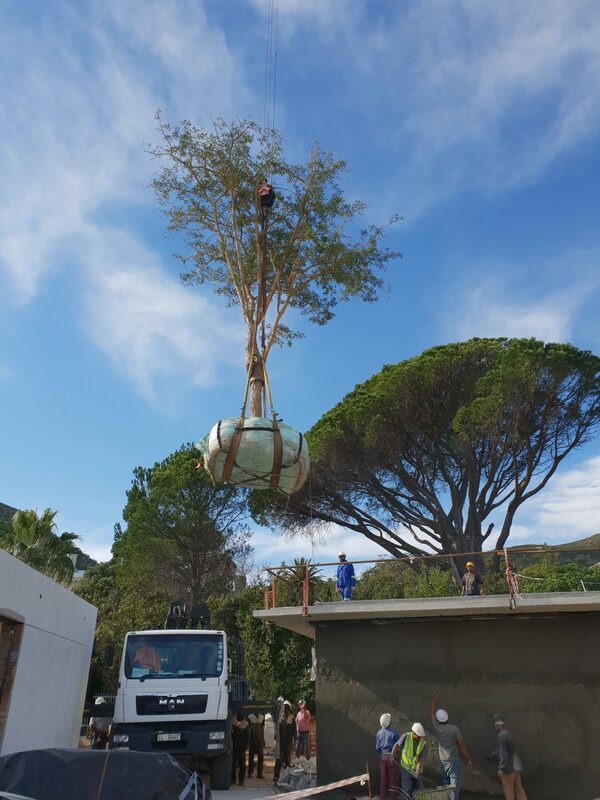 This meant that a smaller mobile crane had to be used in order to get it through the corridor. The installation of the massive trees therefore were also on the maximum capacity of the crane’s reach. We had to use very technical skills to get the 2000-litre into its planting hole. 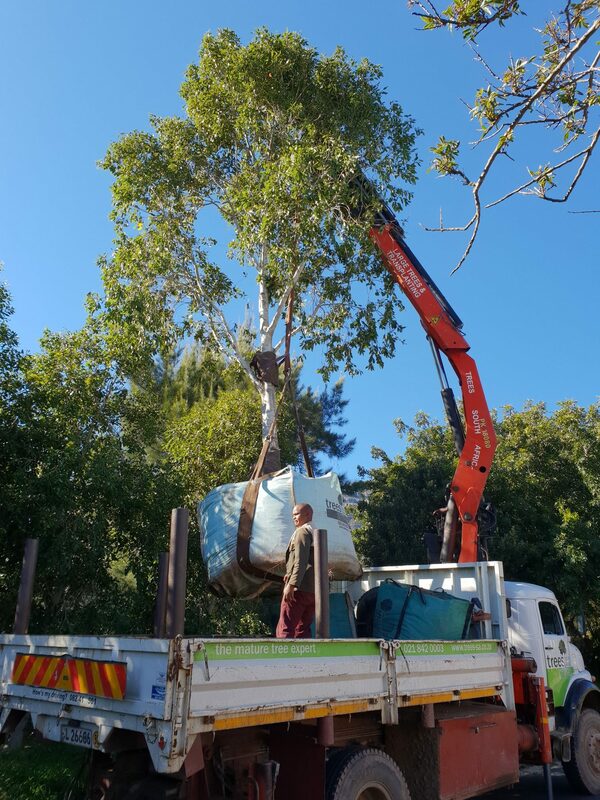 A 220 ton mobile crane was used to plant another 3 more Paperbark trees (500, 1000 and 4500-litre sizes) across the nature reserve! It truly became an African forest. Another 8 x 100-litre Viburnum trees were planted on the roof of the building using our crane truck.